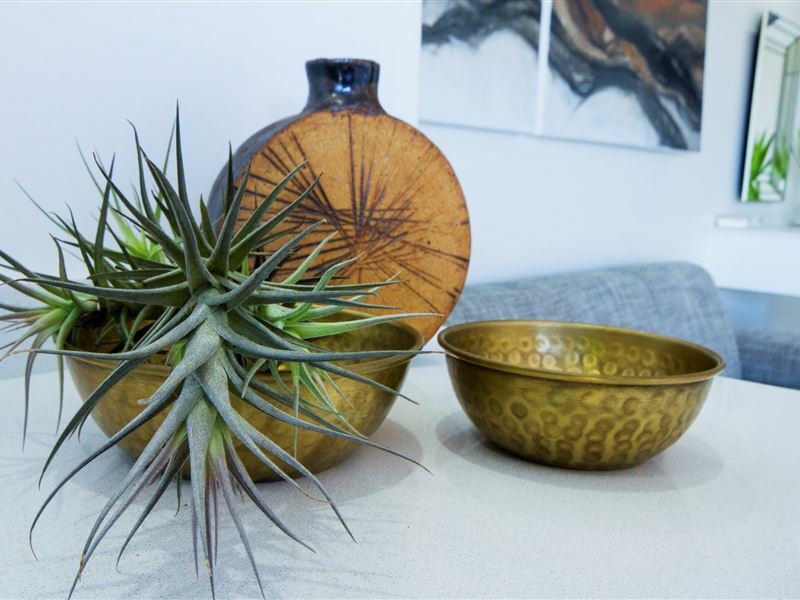 Discover the latest trends in hospitality and comfort in Paradise, Knysna. Situated in the heart of the Garden Route, TheBloem is suspended high above the town of Knysna, on a hill fittingly called “Paradise" overlooking the world acclaimed Knysna Heads and lagoon. 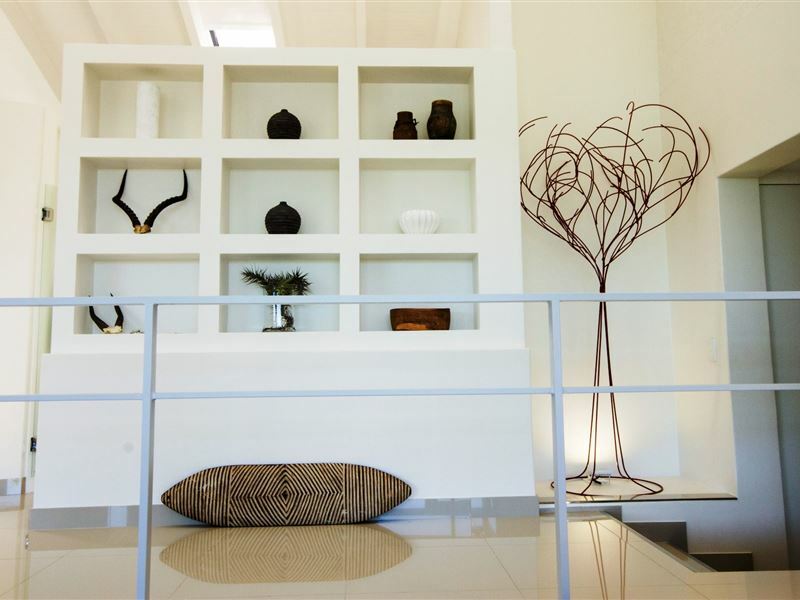 TheBloem encloses 5 suites, specifically designed for panoramic views, spaciousness and comfort. All suites enjoy a high definition LCD 40” TV Set complete with an array of satellite channels, a Pod coffee machine, regular coffee and tea facility and electronic safes as well as a fully stocked mini bar. To add, the suites hold further surprises, such as a private furnished patio/deck for instance. Personalized bathroom amenities, hair dryers, bathrobes and slippers are also provided for your enjoyment and comfort. 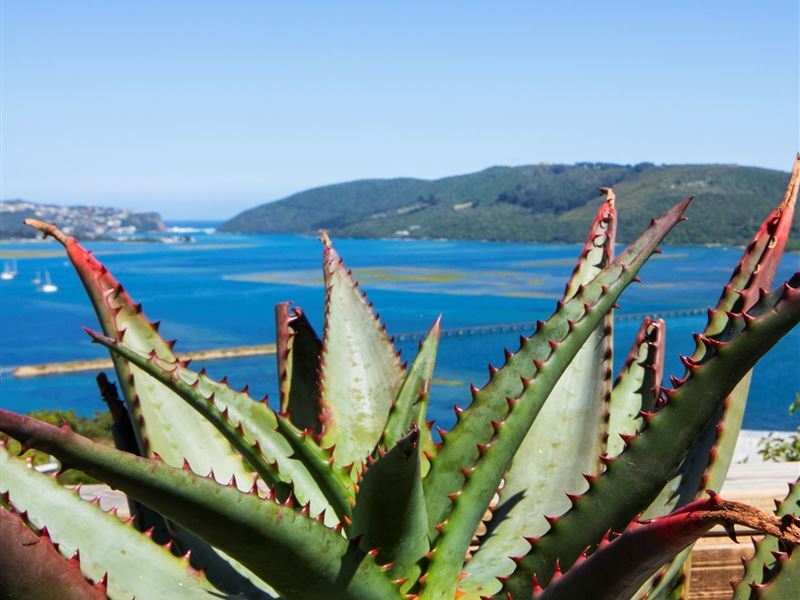 We are situated high up in the quiet, leafy suburb of Paradise, just one kilometer from Knysna city center, Lagoon and Knysna Waterfront with its fine restaurants, exclusive boutiques and boat trips terminals. Knysna Golf Club, the Pezula championship golf course and spa; as well as the spectacular course at Simola are all within a scenic 15 minutes drive. Amazing service, beautiful rooms with a great view on the water. Delicious breakfast! Ein muss in Knysna, beste Unterkunft auf unserer Sdafrika Reise! I have stayed at The Bloem for two nights with my parents and my sister and her husband. We had the most amazing stay there. I dont even know where to start. 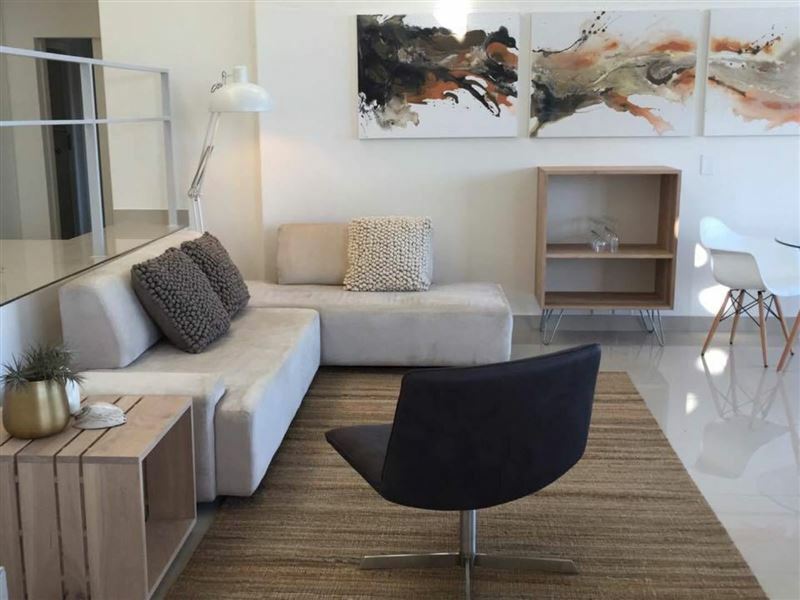 Location: Knysna is a beautiful town on the water and The Bloem is located in a very pretty neighborhood called Paradise on the hill overlooking the lagoon, the Heads and has just stunning views of Knysna.Staff: Attentive is an understatement. The staff was without a doubt over the top. Just as we pulled up in our car Sylvia was there to greet us and Chris helped with parking instructions and luggage. Every wish was fulfilled before we could even express it. They were all so friendly and polite. We felt very welcome and well taken care of. Bianca made sure we had everything we needed and gave us some great tipps on what to explore in and around Knysna.Suites: Impeccable! The suites are spacious and very modern. The rooms were serviced twice a day and everything was very clean and neat. The rooms are stylish and each of the room has a different set up. I stayed in suite 5 and had a stunning view from my bed. This suite also had a second door straight to the front where we parked our car, as well as the patio door. I stayed in the suite by myself, so I didnt care that there was a lack of privacy for the bathroom as there was no actual door, but a small frosted glass door that had plenty of open space to the floor and ceiling. I guess if two people stay in the suite it can get a bit awkward when using the bathroom to have someone hear everything. Other than that I cant think of anything that wasnt just perfect. I had a beautiful and comfortable sofa, large TV, sideboard with mini bar, closet with umbrella, safe, small desk mirror and blow dryer. There was a pretty make up table (or desk) as well. The bed was large and super comfortable. The patio was fully furnished and I had the option to have my breakfast there or in the common dining area.One thing I have noticed was that the staff left the windows open upon cleaning and my sister ended up having a large grasshopper in her room. Not the end of the world, especially since Sylvia took care of removing it from their room, but definitely something to keep in mind and perhaps just keeping windows closed when guests purposely closed them.Service: Outstanding! From bringing our luggage to our rooms (and bringing in an additional luggage rack), to sweet things like chocolate covered strawberries to welcome us, a sweet treat before bedtime or a rose before we left. Its the little thoughtful things that mean the most.The cleanliness of my room was excellent. Everything was very clean.The staff was very helpful with dinner reservations, even offered a shuttle to dinner and helped us find the right place for what we were in the mood for.Breakfast should get its own bullet point as it was simply amazing. Since we all had different suites we chose to eat in the commons dining area, one time inside and the next day outside on the patio. The night before we filled out what we wished to have for breakfast and we were blown away by the beautifully put together breakfast we were served the next morning. I asked for something that wasnt on the order slip and even that wish was no problem at all. Someone went out to get me my beloved avocado. The food was very tasty. We loved it.We also has the option to go over to the other hotel, Villa Afrikana, across the street for tea time each day. That was great, too. We had some mini cupcakes and other sweet treats. A large variety of tea was offered.When we checked out we were able to store our luggage until we left Knysna later in the day. We also noticed that someone cleaned our car. Wow! That was very nice. Overall this was everything we could have asked for and more. Would recommend this place to anyone planning on visiting Knysna. Thank your for such a great stay! Dieses Hotel kann ich nur empfehlen. Hier wird einem jeder Wunsch erfllt und das Personal ist immer freundlich und zuvorkommend. Die Zimmer sind gerumig und hochwertig ausgestattet. Alle 5 Zimmer haben eine eigene Terrasse mit Blick auf die Waterfront. Das Frhstck ist sehr lecker und die Auswahl gro. Am Vorabend fllt man eine Karte aus und bekommt am nchsten Morgen das Frhstck serviert. Auf der Karte gibt es sogar die Mglichkeit, nicht aufgefhrte Speisen aufzuschreiben. In unserem Fall gab es zb die gewnschte Avocado. Es ist auch mglich, in der Lobby, der Terrasse oder auf der eigenen Terrasse zu frhstcken.Die Einrichtung des gesamten Hotels ist modern und stylish, alles in wei gehalten.Zwischen 16 und 17 Uhr kann im benachbarten Villa Afrikana (selbe Hotelgruppe) Tee und Kuchen eingenommen werden. Zwischen 19 und 20 Uhr ist happy Hour und alle Drinks gehen aufs Haus. Cocktails die wir spter am Abend zu uns nahmen, mussten wir am Ende aber auch nicht bezahlen.Auch an Betthupferl und Erdbeeren zur Begrung fehlte es nicht.Parkpltze stehen an der Unterkunft kostenlos zur Verfgung. Bei der Abreise stellten wir sogar fest, dass unser Mietwagen geputzt wurde. Wow! Was fr ein Traum!Wir hatten einen sehr netten und informativen Empfang und wurden auch direkt auf unser Zimmer gefhrt. Wir hatten vermutlich die Suite Nr. 1 vom Pool aus ganz links am Haus. Die Suite bestand aus einem Schlafzimmer, einem Badezimmer, einem Aufenthaltsraum mit Kleiderschrank und Schreibtisch sowie einem Sofa Flat-TV.Das Hotel und das Zimmer sind in hellen Farben gestaltet und sehr elegant eingerichtet. Ein Traum war auch die Frhstcksterasse mit Blick auf die Bucht. Gefrhstckt wurde via Frhstcksliste vom Vorabend (hier hat man abendlich seine Wnsche auf einer Liste eingetragen). Es gab eine tolle Obstplatte und man hatte bei jedem Bissen das Gefhl, sich etwas Gutes zu tun. Die Freundlichkeit und der persnliche sowie perfekte Service waren nicht nur beim Frhstck phnomenal.Es gab einen Aufdeckservice am Abend und weitere Annehmlichkeiten wie z.B.+ Vorabreservierung in den guten Restaurants der Umgebung fr alle 4 Abende +Taxivorbestellung frs Dinner und weiteres+ Beratung und Hilfe zu den Ausflgen schon am Frhstckstisch+ Reservierung der Ausflge wie z. B. Katamaranfahrt oder eine gefhrte Townshiptour+ Zimmer ist mit allen Dingen, die man bentigen knnte ausgestattet: u. a. Flasche Begrungswein, gut sortierte Minibar, Wasser in Minibar und Taschenlampe, Heizung, Flat-TV etc.+ Am Zimmer: eigene Terrasse mit Liegestuhl und Tisch sowie 2 Sthlen+ Kaffee am Nachmittag kostenlos; auch im Schwesterhotel gegenber gab es die Mglichkeit fr einen kostenfreien Nachmittagskaffee+ viele Handtcher und Shampoo, Cremes etc. vorhanden+ Parkhilfe beim Ankommen oder Wegfahren persnliche Begrung oder Verabschiedung am AutoEin groes Lob an alle: Bianca, Chris, Sam, Sylvia und Constance waren alle superlieb und zuvorkommend und haben ganze Arbeit geleistet. Wir wrden jederzeit wiederkommen und es sehr gutem Gewissens weiterempfehlen. Super Aussicht und Superservice! ber Expedia haben wir hier fr drei Nchte ein Schnppchen gemacht und waren begeisterst: Die Aussicht auf die Bucht ist der Hammer. Frhstck auf der Terrasse vom eigenen Zimmer - genial! Die Staff ist sehr aufmerksam und alles ist immer sehr schn hergerichtet. Ob der Deckenfan im Sommer ausreicht, kann ich nicht beurteilen, wir waren Ende Mrz da und wir hatten khle Nchte. Ich wrde auf jeden Fall wieder kommen! Request a quote from THEBLOEM Guest Suites at no obligation.